Story By: SAMMY EANES / NASCAR – DAYTONA BEACH, FL – The nine drivers who comprise the 2018 NASCAR Next class are no strangers to accolades. 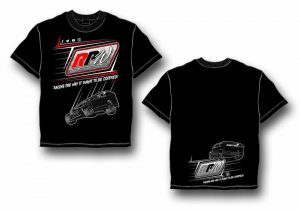 This year’s group of emerging stars includes the Rookies of the Year in both the NASCAR K&N Pro Series East and West, as well the ARCA Rookie of the Year, a former USAC Midget Champion and Lucas Oil Off Road Driver of the Year. Now in its eighth year, NASCAR Next spotlights the best and brightest young stars in racing. 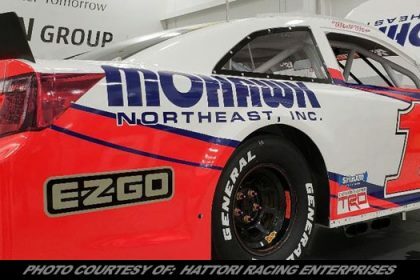 Alumni of the program include current Monster Energy NASCAR Cup Series stars Ryan Blaney, Alex Bowman, William Byron, Matt DiBenedetto, Chase Elliott, Gray Gaulding, Erik Jones, Corey LaJoie, Kyle Larson, Daniel Suárez, and Darrell Wallace Jr.
Anthony Alfredo (@anthonyfalfredo), NASCAR K&N Pro Series East – Driving full-time this year for MDM Motorsports in the NASCAR K&N Pro Series East, Alfredo is also a student at the University of North Carolina at Charlotte. 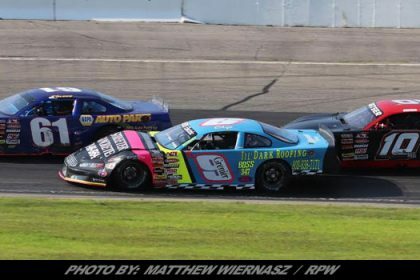 The 19-year-old Ridgefield, Connecticut, native recently competed in various late model divisions across the country, driving for JR Motorsports. Hailie Deegan (@HailieDeegan), NASCAR K&N Pro Series West – The 16-year-old Temecula, California, native returns to Next for a second year, driving for Bill McAnally Racing in the NASCAR K&N Pro Series West. The daughter of FMX legend and Monster Energy athlete Brian Deegan, Hailie was the 2016 Modified Kart champion in the Lucas Oil Off Road Racing Series and was named the Lucas Oil Off Road Driver of the Year. 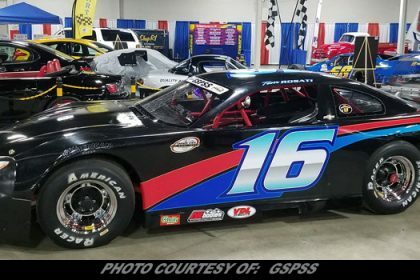 Riley Herbst (@rileyherbst), ARCA Racing Series – Returning to Next for a second year, Herbst is running full-time for Joe Gibs Racing in the ARCA Racing Series, where he won Rookie of the Year honors a year ago. 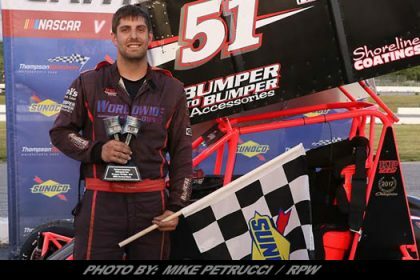 The 19-year-old Las Vegas native captured his first big-track win last June at Pocono, along with six top fives and 10 top 10s. Derek Kraus (@derek9kraus), NASCAR K&N Pro Series West – The reigning NASCAR K&N Pro Series West Rookie of the Year, Kraus claimed his first win and a pole award, along with nine top fives and 10 top 10s in 2017. 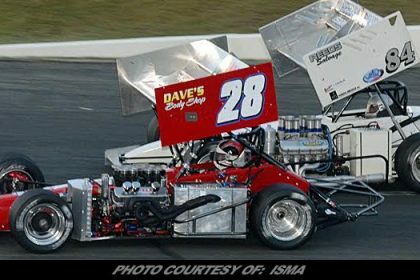 Driving full-time for Bill McAnally Racing, the 16-year-old Stratford, Wisconsin, native has already captured a fourth-place finish at New Smyrna and a win at Kern County this year. Chase Purdy (@chasepurdy12), ARCA Racing Series – Purdy returns to Next for a second year after capturing NASCAR K&N Pro Series East Rookie of the Year honors in 2017. The 18-year-old from Meridian, Mississippi, finished fourth in the standings last year, tallying five top fives and eight top 10s. This year, Purdy is racing full-time in the ARCA Racing Series for MDM Motorsports. Will Rodgers (@willrodgers65), NASCAR K&N Pro Series – The 23-year-old Maui, Hawaii, native made two NASCAR K&N Pro Series East starts in 2017 and won them both. Starting on the pole at the NASCAR K&N Pro Series West race at Sonoma, he finished runner-up to Kevin Harvick. Running all 14 races out west, Rodgers notched nine top fives and 12 top 10s, finishing fifth overall. Zane Smith (@zanesmith41), ARCA Racing Series – Back for a second year in Next, Smith, 18, from Huntington Beach, California, has captured his first two career ARCA victories early in 2018 (Nashville and Talladega). Smith finished ninth in the ARCA standings a year ago, posting two poles, seven top fives and 11 top 10s. In his initial foray in the NASCAR K&N Pro Series, Smith ran twice in the East, posting top-10 and top-five finishes, and once in the West, scoring another top-five showing. Tanner Thorson (@Tanner_Thorson), NASCAR Camping World Truck Series – A former USAC Midget Champion, the 22-year-old Thorson brings his dirt racing experience to Next as he prepares to run various Touring Series and NASCAR Camping World Truck Series races throughout the year. 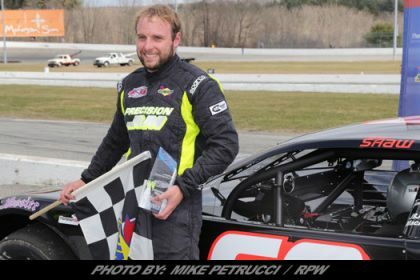 The Minden, Nevada, native also ran two ARCA races in 2017, claiming a top-10 finish in just his second series appearance. Ryan Vargas (@The_Rhino23), NASCAR K&N Pro Series East – Hailing from La Mirada, California, Vargas is competing full-time in the NASCAR K&N Pro Series East for REV Racing. 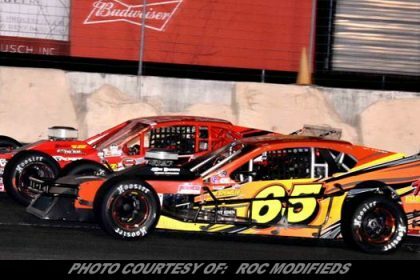 The 17-year-old finished third overall in the NASCAR Whelen All-American Series for California in 2017, racking up two wins, 15 top fives and 23 top 10s. 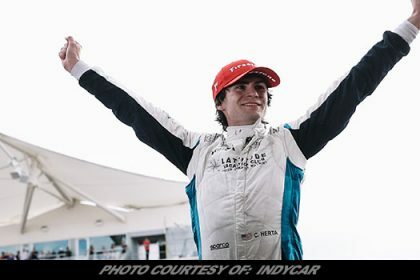 Vargas is also a 2018 NASCAR Drive for Diversity class member. Since its inception in 2011, 39 of the 51 drivers who have been selected for the program have progressed to compete in one of NASCAR’s three national series, while a quarter have gone on to compete in the Monster Energy NASCAR Cup Series. The last four Monster Energy NASCAR Cup Series Sunoco Rookies of the Year are NASCAR Next alumni, as are top contenders for the award this year: William Byron and Darrell Wallace, Jr. 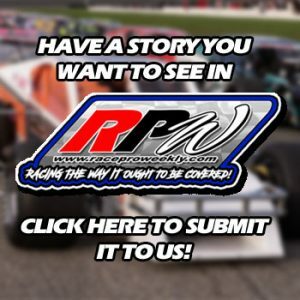 The last five Sunoco Rookies of the Year in the NASCAR Xfinity Series and four of the last five Sunoco Rookies of the Year in the NASCAR Camping World Truck Series are also alumni of the NASCAR Next program. For more information, visit NASCAR.com/Next and make sure to follow the drivers on Twitter and on the track. Join the social conversation by using #NASCARnext.